Not your average Android news — a diverse mix of advice, insight, and analysis with veteran Android journalist JR Raphael. 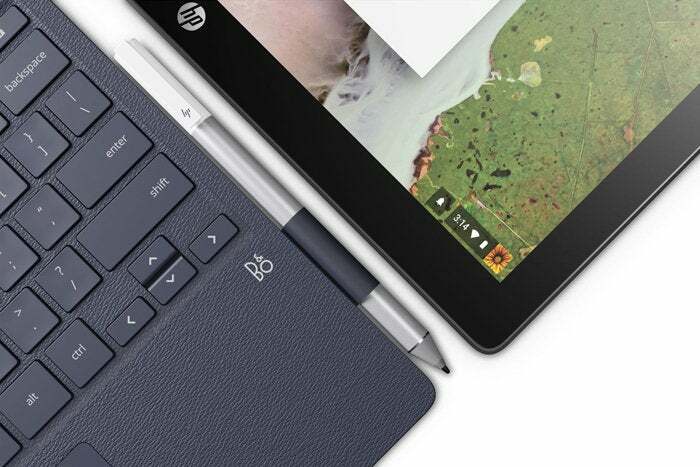 The HP Chromebook x2 is significant for several reasons — one of them being its uncanny connection to Chrome OS and Android's intertwined history. It was six months ago to this day that I declared it: The Chromebook is effectively the new Android tablet. At the time, I realize, such a proclamation sounded slightly unhinged (so to speak). How could a Chromebook possibly take over the role of the Android tablet? It doesn't run Android, for one — and at that point, no models in existence were even true "tablets" in the traditional slate-and-nothing-more sense. The secret some folks saw along with me, though, was that neither of those distinctions actually mattered. We're entering a post-OS era, and the practical difference between a Chrome OS device that runs Android apps and an Android device that runs Android apps is growing less significant by the week. And as for the physical form, anyone who had used a convertible Chromebook — a product like the Asus Chromebook Flip, whose hinge allows the screen to swivel back and form a flattened-out tablet — knew exactly what I was getting at. As I said to the careful thinkers who questioned my conclusion then: All things in time. A proper foundation has to be established before an ecosystem can spring up around it. Diversity in hardware will inevitably follow. And here we are, six months later — with both a slate-only Chrome OS tablet and now a fully detachable all-in-one Chromebook upon us. This evolution, however, actually dates back further than a mere six months — both in terms of software and in terms of the new hardware we're now seeing. Ready for an "aha!" moment? We've talked plenty about the evolution of Chrome OS and its ongoing alignment with Android over the years — and so many of the platform-oriented notions we once discussed in theoretical terms are now playing out as realities in front of us. On the hardware front, though, there's something especially interesting about one of the new tablet-like devices announced in recent days. I'm talking about the HP Chromebook x2 that was quietly unveiled at the start of the week. It's a fairly high-end system that comes with a detachable keyboard — so just like with the Chromebook Flip or the top-of-the-line Google Pixelbook, you can use it as a regular laptop with a desktop-caliber browser, or you can use it as a tablet with full Android app support alongside all the regular benefits of Chrome OS. Unlike those other devices, of course, the Chromebook x2's screen fully separates from its keyboard instead of remaining attached and swiveling back (which could be a pro or a con, depending on your workflow and preferences). That's all intriguing enough on its own, but what really struck me about this device is its connection to a product that entered the world with a bit of a whimper two and a half years ago. Yes, my dear compadres: I'm referring to Google's Pixel C.
This connection is about more than just surface-level similarities, though: It's about the vision Google had for computing back in 2015 — a vision it wasn't quite ready to execute then but one that's very much coming to life today. The Pixel C, you see, was likely never meant to run Android. Ample evidence suggests Google originally intended the device to run some form of Chrome OS — but the company's efforts to optimize Chrome OS for the touch interface were still primitive then, and the move to make Android apps work on Chromebooks was barely even an experiment. By all counts, Google wanted to create a convertible device that blended together the best of Android and Chrome OS. The progress just wasn't there yet. And so Google ultimately sold the Pixel C as a convertible Android tablet — a hardware-software matchup that never felt entirely natural. The HP Chromebook x2 seems to be exactly what Google wanted to create with the Pixel C, had it not been a couple years ahead of its time. It's a convertible device that runs Chrome OS and provides all of its productivity and security advantages while also providing a commendable touch-based tablet experience, complete with the full Android app catalog. It's what the Pixel C could have been, should have been, and arguably was meant to have been. Of course, in the grand scheme of things, the Chromebook x2 is but a single product — almost certainly the first of many detachable Chromebook devices that'll spring up in the months ahead. The grander significance is less about the device itself and more about what it represents: the beginning of yet another new phase in Google's Chrome OS expansion and the fulfillment of a technological fantasy Google has long sought to achieve. Sign up for JR's new weekly newsletter to get this column along with bonus tips, personal recommendations, and other exclusive extras delivered to your inbox. Contributing Editor JR Raphael serves up tasty morsels about the human side of technology. Hungry for more? Join him on Twitter or sign up for his weekly newsletter to get fresh tips and insight in your inbox every Friday. Reality check: Can you use a Chromebook for work?